Fell's Point derives its name from William Fell, the shipbuilder who purchased the land in 1726. Fell's Point, Jones Town, and Baltimore Town were incorporated in 1773 to create what we know today as Baltimore. Jones Falls stopped the Great Baltimore Fire of 1904, so Fell's Point is still home to over 350 original colonial period buildings including the oldest house in Baltimore (now a museum), which was built in 1765. Today Fell's Point is a mix of commercial and residential buildings. Most people claim the area comes to life at night, but there are many boutiques and antique shops that make a stroll in this nationally registered Historic District a pleasant daytime activity. Rumored as the last place where Edgar Allen Poe had his last drink and home to buildings over 240 years old, Fell’s Point Fell’s Point Ghost Walking tours takes visitors on a journey through the haunted bars, pubs, and other sites where spirits of the past are thought to still dwell. Blue Moon Cafe serves up breakfast and brunch in its own unique way. The atmosphere and decor is down to earth and just as eclectic as the menu. Signature dishes like the famous Captain Crunch French Toast, the cinnamon roll french toast, and the crab benedict are crowd-pleasers and waistline-busters. The Cat’s Eye Pub is a Fells Point landmark. Bands usually play in this pub’s tight quarters where no one seems to mind the crowd. Music genres that you can catch in the pub include blues, jazz, folk and whatever the cat ordered. 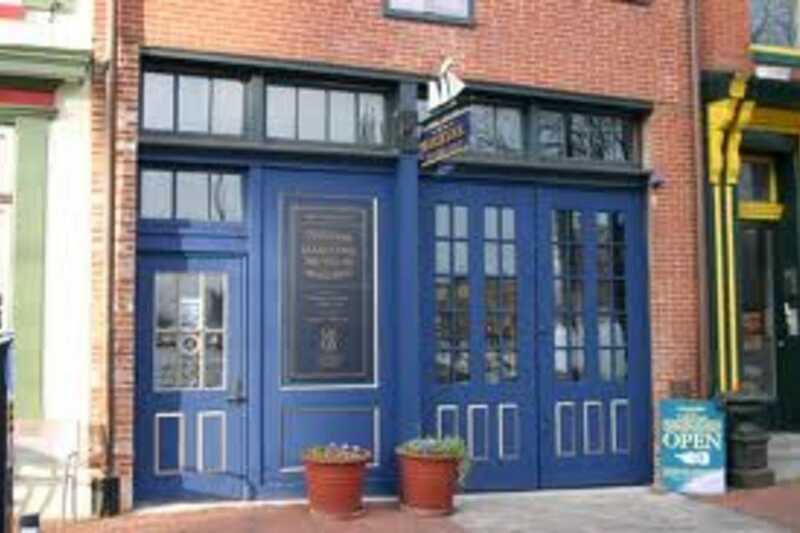 There aren’t many places to stay in Fell’s Point: more options and variety can be found in the Inner Harbor, just 10 minutes away. Admiral Fell in is a European style boutique hotel and member of Harbor Magic Hotels. Don't be surprised if it's one of the stops you encounter on the Fell's Point Ghost Tour walk. Shopping in Fell's Point is all done on Main Street where you will find boutique shops as well as a few national brands to quench your buying thirst.